I have been looking for something big and beautiful to write but nothing has come to mind. But then I got the inspiration to start Live Series where I write about my everyday life with or without the big explosive moments. For the past three weekends, I have been exploring my cooking skills. 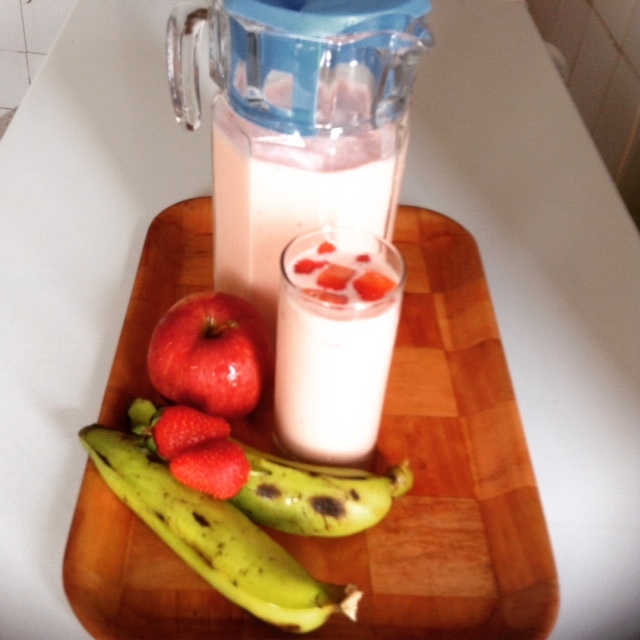 I made Strawberry yogurt smoothie with banana and strawberry toppings. Along with fresh fruits. Yummy! 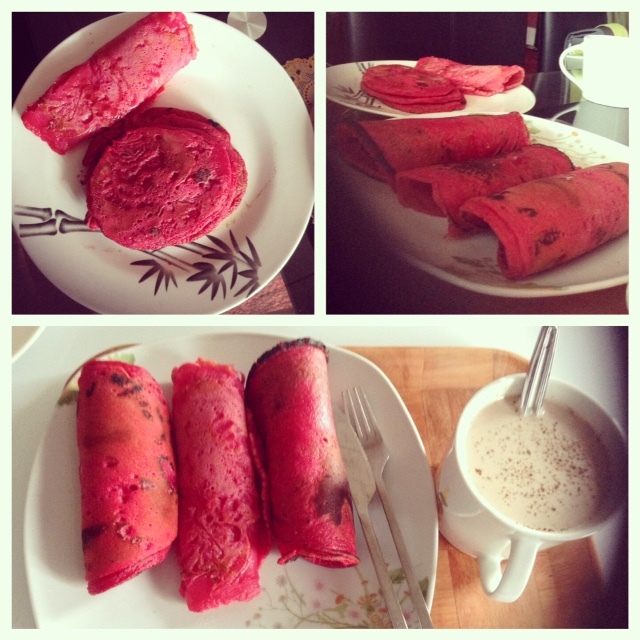 I made fun pink pancakes for breakfast alongside a cup of chocolate drink. I love colors and having my food colored is super cool! Thanks to a friend who gave me the recipe. 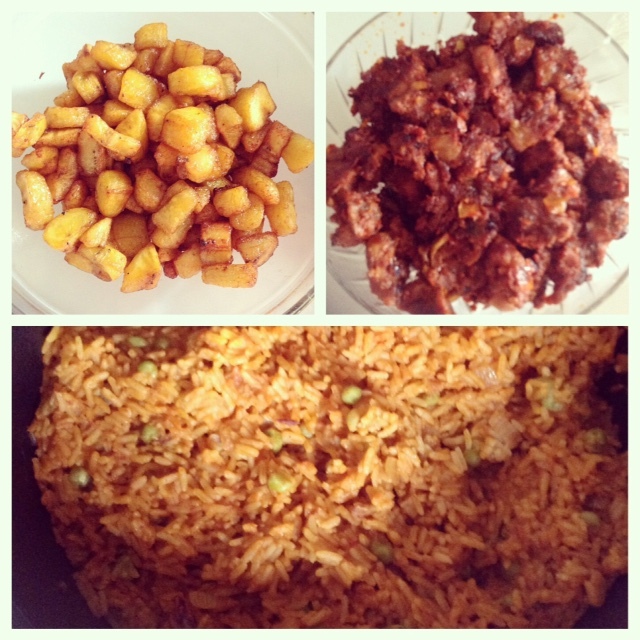 I made jollof rice, peppered beef and fried plantain. This was an anniversary meal for my sister and brother inlaw and thankfully they loved it! I’m so proud of this meal because I’m quite a lazy cook; I don’t like cooking all the time but whenever I do, I’m all in 😀 😀 I know I should be more consistent with these things I take as mere hobbies. And so should you! What are those things you do with ease and take as mere hobbies? Why not use them to bless the world around you? Well, that’s what went on for the past three weeks I went MIA. By God’s grace I will be more consistent no matter how short the post is…I know there would be an inspiring message in there somewhere to help you live a victorious life. As i’m perusing through this marvelous post, I reflected on what has been happenin to me since this 3wks. There is this loss of appetite, nt wanting to take anything cos nothing was actually coming to the head but within me sincerely I knw d stomach needed something extraodinary nt knowing that someone somewhere was actually behind this period of lng salivatn. Only what i get nw is lookn at pictures and lickn lips. M… So you have been behind all this exodus of salivatn. Hmmm. T H E R E I S GOD. Truely a wonderful piece of write up and the closure is inspiring. We live in a system where pple move around jst waitn to get something. With the notion that “what do i have to give, what can i do to contribute, this place is too small for me”. The parable of the three servants in Matt 25:15-30. With much emphasis on the final verse. Thanks for using one of ur talents or hobbies as u used it on this great write up and alot to take home. More GRACE . It’s always nice readn ur posts. LOV£ IT. Awwww… 😀 😀 Thank God! And thanks dear! God bless you! Wow! This is cool… loving d write up, d pix r dope, sure d food tastes same *big grin*… nd I love d bible references too! One last word #lovely! Thank God and thank you sis! Glad to be a part of your life 🙂 Thanks for the support! Jay now you’ve made me hungry… And also inspired me to improve on my hobbies. Hehe. That’s good dear. I pray your hobbies pay off.